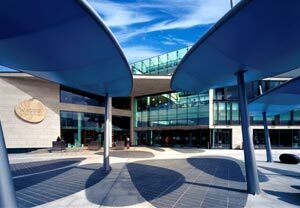 Park Pointe is at the centre of the Honeypark residential community in the Dublin suburb of Dun Laoghaire. The anchor tenant is Tesco, with other occupiers including a chemist, household goods store, health and beauty, restaurant and coffee shop. Our Waterman Moylan team provided civil and structural engineering services for the development. A steel framed structure was adopted, with the curved roof structure of the large double height anchor unit formed using castellated curved steel beams. The steel structure is left exposed as a feature of the unit and the glazed façades on two sides of the unit accentuate the structure. With a growing population at Honeypark, Park Pointe is now a very busy meeting place for the local community. The City Square Shopping Centre is located in the centre of Waterford City, within it’s historic medieval quarter. 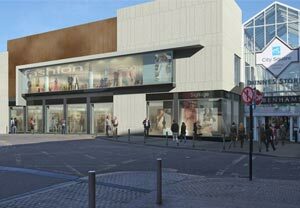 Situated in the heart of Newbridge Town, Whitewater is the country’s largest retail complex outside the Dublin. 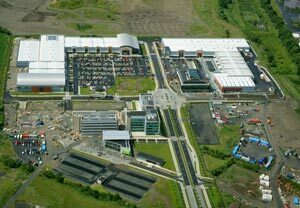 The Park, Carrickmines, is the premier retail park destination in Dublin an is located on a site adjacent to the M50 Dublin orbital motorway and the Cherrywood extension of the LUAS line B.